There is a need to improve the psychosocial well-being of cancer patients. To date, intervention research has primarily focussed on improving psychosocial well-being through targeting singular aspects of care at the individual patient level. 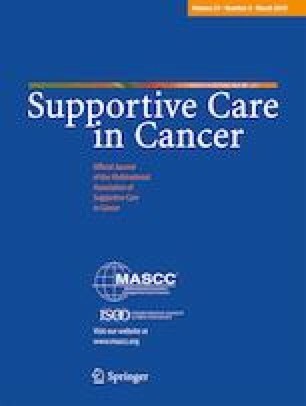 Sustainable, high-quality psychosocial care should address the issues faced by people diagnosed with cancer throughout the care pathway using a system-based approach. To examine the number of intervention trials attempting to improve psychosocial cancer care that have implemented a system-based approach. Five journals were selected and relevant studies across all years were extracted. Four criteria, argued to be essential characteristics of system-based change, were assessed: (1) establishing a culture change within the healthcare system/organisation, through designated leaders who endorse organisational goals; (2) adopting a multidisciplinary approach to change; (3) mapping the system and identifying points of leverage; and (4) measuring the impact of change and adapting establish feedback loops. The search strategy returned 1174 citations, of which five met the inclusion criteria. Of the intervention studies identified, three met none of the four defined criteria for a systems-based intervention, one study met criterion 2 only, and one study met all four criteria, however, was not a rigorous study design. This review of published psychosocial intervention trials in top-ranking psychosocial cancer care journals only found one study that met our criteria for evaluating system-based change. This is likely to be a consequence of the significant pragmatic and political barriers to conducting system-based intervention research. This research was supported by a Cancer Council New South Wales Program Grant (PG16-09) and infrastructure funding from the Hunter Medical Research Institute (HMRI). A/Prof Mariko Carey was supported by an Australian National Health and Medical Research Council Translating Research into Practice (TRIP) Fellowship (APP1073031). Dr. Jamie Bryant was supported by an Australian Research Council Post-Doctoral Industry Fellowship. Dr. Megan Freund is supported by a National Health and Medical Research Institute Translating Research Into Practice (TRIP) fellowship (APP1132839).